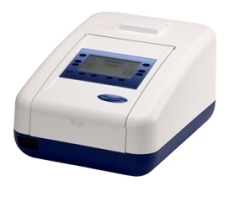 Model 7305 UV/Visible range (198-1000nm), 5nm SBW spectrophotometer (Operating modes: Abs, T, Conc, Scanning, Quantitation, Kinetics), Resolution 1nm, Accuracy +/- 2nm, Range -0.300 - 2.5Abs. 240 method storage memory. 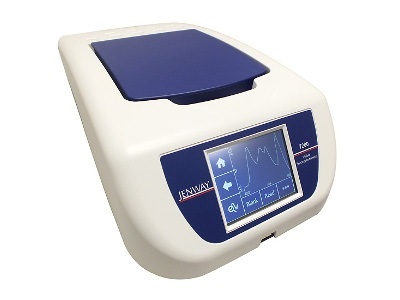 Fitted with 10x10 cell holder, USB port, supplied with 100 disposable cuvettes, instruction manual, Universal power adaptor and cables and PC software on CD ROM with interface cable, Jenway UK. 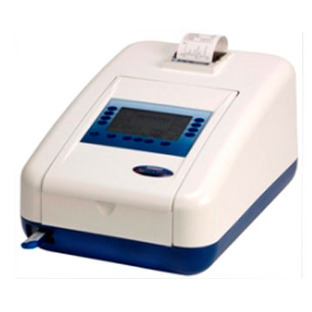 Model Genova Nano single beam, scanning, UV/visible range micro-volume spectrophotometer (198-1000nm) fitted with micro-volume accessory, supplied with single 10 x 10mm cuvette holder, micro-cuvette holder, universal power supply, 4GB USB memory stick, calibration standards and certificate and instruction manual.